Headquartered in southeast Wisconsin, IPS provides reliable, comprehensive payroll solutions for hundreds of businesses across the Midwest and beyond. With licensed CPAs on staff and a dedicated team of professionals in support, IPS offers the customer service and attention to detail our competitors simply can’t match. We still take pride in being a family-owned and operated business, and we enjoy learning the nuances of each and every one of our clients. Many small and mid-sized organizations make due with substandard payroll services because they simply don’t know that better options are available to them. 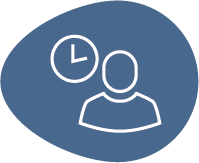 At IPS we help customers utilize our comprehensive HCM services to save time, save money and help further engage their employees. IPS makes it a priority to learn about and understand our clients and their industries. We promise each of our customers a better experience – and we always make time for them when they need us. Our clients appreciate that we know how to listen and that we take pride in their success as an organization. We are reliable, available and responsive because we understand how important payroll is to a company and to its employees – it’s something that should never be taken for granted. And we never do. We are proud to have strong relationships with the following organizations – both help us serve our customers at the highest level.